View the official 2018 Event photos HERE. At Secret Lake Park in the heart of Casselberry on August 17, 2019, at 8 am. Join the City of Casselberry, Friends of the Park and the Travel Country Outfitters for our Eighth Annual Secret Lake RunYak. This family friendly race will feature a 2.3 K Run, 3K Paddle and end with another 2.3 K Run. We structured this race so it would be fun for all fitness levels. This event will be held at Secret Lake Park, nestled in the heart of Casselberry. This amazing park features ball fields, a community center, paved running trail and one of the most peaceful non-motorized blueways in central Florida. Solo: $35 before 7/18/2019 or $40 after. Solo participants must bring their own kayak or paddleboard along with PFD & paddle. 2-Person Team: $80 before 7/18/2019. $90 after. Includes rental of tandem recreational kayak, two PFDs & two kayak paddles. Sorry, no on-site registrations allowed for this event! All entrants get a race bag with assorted swag and coupons, courtesy of Travel Country Outfitters. Registrations made before August 3rd are guaranteed to get a shirt in the size they specified. Registrations after August 3rd are not guaranteed to get a T-shirt in the size they specified. Download the race route - click here. Awards: $40 TravelCountry gift card for top finishing male and female in solo kayak divisions. $80 TravelCountry gift card for top finishing team. Paddleboard division will depend on number of participants. 2nd & 3rd Place finishers will receive medals & other prizes should quantities be available..
A minimum of 5 participants are required for top finisher awards in each division. Prizes: Each participant will be eligible to win a wide ranging assortment of top quality outdoor gear and apparel. Drawing will be held directly after race. Must be present to win. Sponsorship opportunities are available for $50 which entitles the sponsor to a logo on the race shirt, 10'x10' display area at event and literature in race bag. Limited sponsorship opportunities are available. Contact Roger Watson via email or call 407.831.0777 x 150 for sponsorship opportunities. Travel Country Outfitters is Orlando's premiere outdoor adventure store. This is a store where customer service is the first and last thing team members think about. Among the staff you'll find world class climbers, hikers, trail runners, adventure racers and kayakers. If it involves outdoor adventure, there's someone at TravelCountry that has done it and can help you do it too. 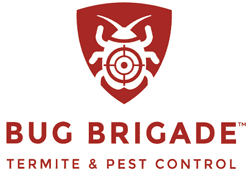 Since 2002, Bug Brigade has been serving Central Florida with the best value in pest and termite control. Offering a premium, environmentally-friendly service, with a guarantee of your complete satisfaction; our staff has the expertise to protect your home and family from unwanted pests. With services to handle general pests, termites, rodents, wildlife, mosquitos, and insulation restoration; Bug Brigade is here to serve you. The Tidal Watersports Kayak collection was designed by a group of experienced outfitters to incorporate great design, value, and quality. These boats are sold by a highly selected group of independent outdoor oriented businesses. The North Face is one of the most recognized brands in the outdoors community. Their product development begins with athletes, their suggestions, recommendations and new equipment ideas provide the inspiration and challenges that drive the research and development of advanced materials, innovative design and construction. The most crucial step involves testing both in our laboratories and with our athletes on expeditions around the world.